Oriented wires in silicone is probably the most versatile of the EMI shielding gasket materials. It takes the excellent properties of either Silicone or Fluorosilicone in Solid or Sponge form and incorporates a very simple but effective series of perpendicular oriented wires to allow conduction from top to bottom across the usually non-conductive Silicone rubber. 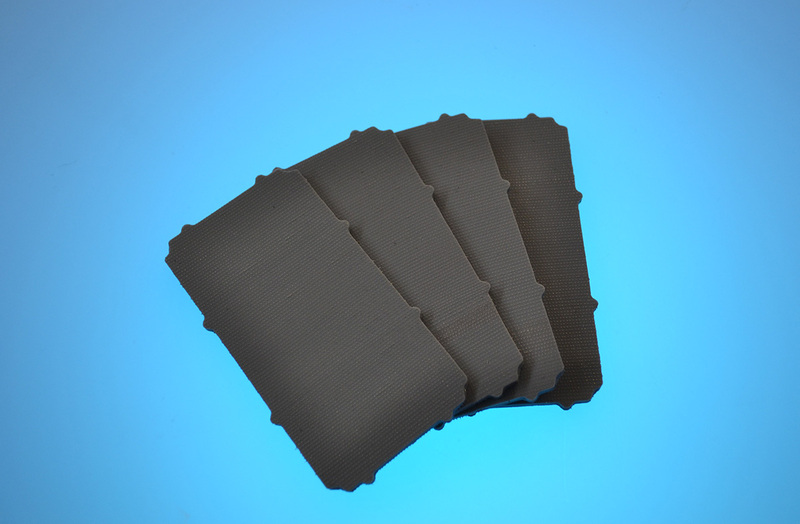 This carefully constructed arrangement of rubber and wire provides good environmental protection with excellent shielding and are regularly used where long service life, high performance fixed gaskets are needed. Oriented wires in silicone material is usually supplied in gasket, strip or sheet form with a pressure sensitive adhesive backing which holds the gasket in the absence of a groove or channel. If a groove is available the gasket form is often a jointed ‘o’ ring without the adhesive backing.